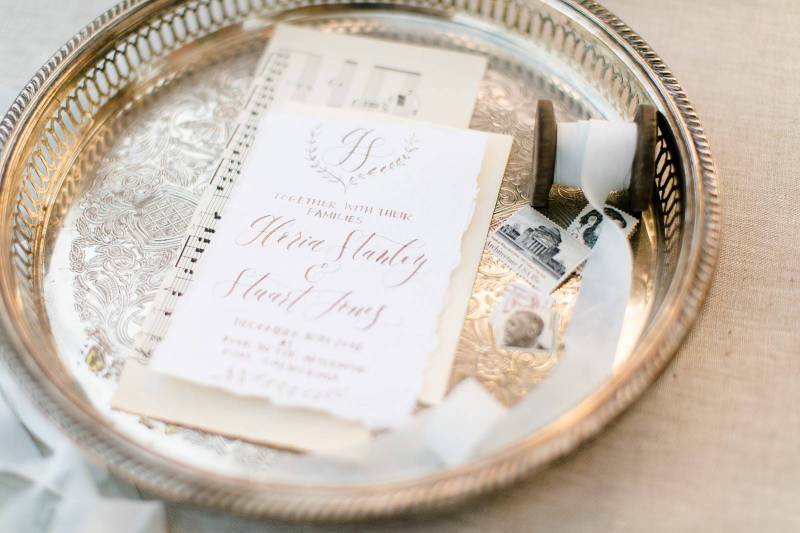 Inspiration can come from a variety of sources when it comes to planning your wedding style. Whether it be a colour, a particular hobby or interest you and your betrothed have or mother nature, there are endless options. 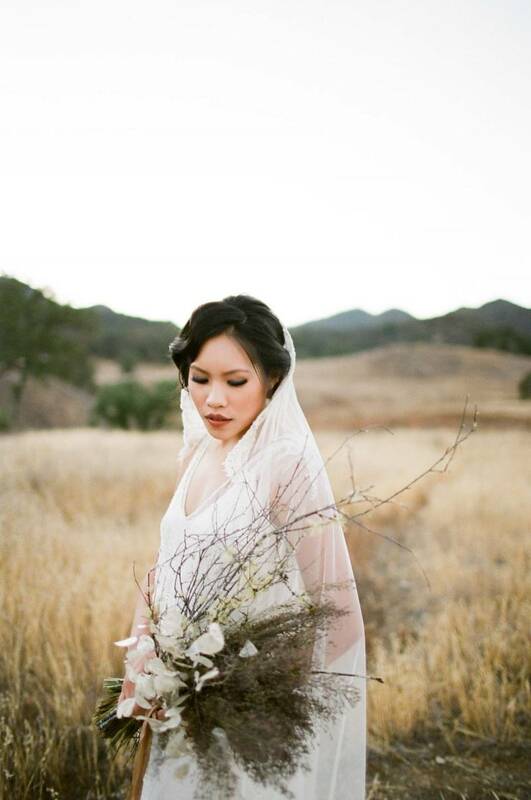 For this shoot by MARITHA MAE it was the melodic sound of a flute in the wind. Focusing on a natural colour palette they wove subtle musical details into the shoot reminiscent of a classical past. Veil designer SHAVATO was inspired by music for her elegant veil collection and she took these ideas into the shoot with her. Maritha tells us, "We wanted to showcase the delicacy of a bride during winter with the Birdcage & Spanish Veils in the midst of the grandiosity of nature. 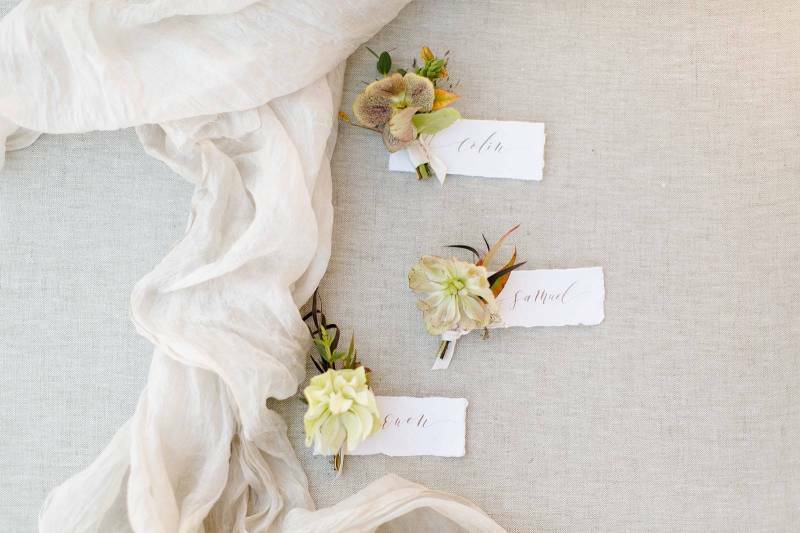 A flute is such a simple yet natural instrument, and the bouquet of dried lunarias by EMBLEM FLOWERS was chosen for its beautifully detailed textures, translucency, and delicacy. 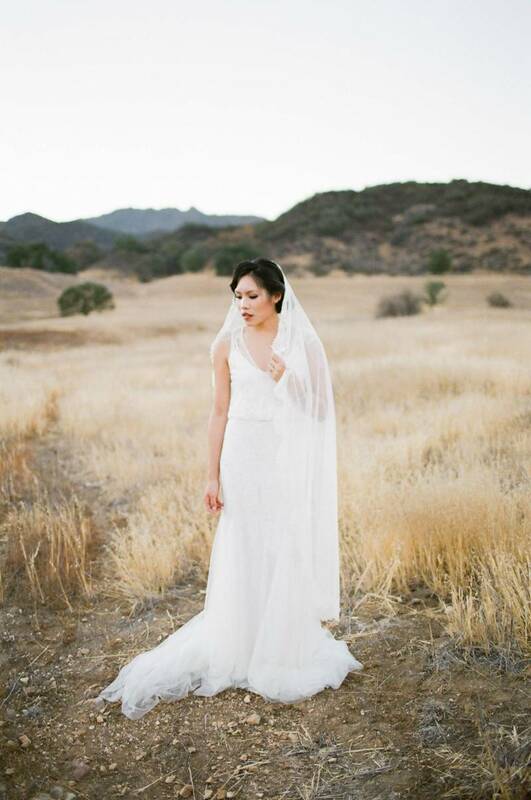 All throughout the shoot we were surrounded by dreamy Southern California golden fields, while the hills of Malibu peeked out from above us. The awe-inspiring landscape around us paired perfectly with the Rosa Clara Soft Ubeda gown, and muted colour palette to tie it all together."